Here are fun things to do in Orlando besides theme parks. There are great tours that show you highlights like Lake Eloa, historic Winter Park and Clearwater Beach. When you want to add a bit of adrenaline try a helicopter, a hot air balloon ride and don’t forget the off-road excitement of an ATV. There is a plethora of ways to enjoy nature from fishing to an airboat ride to visiting Everglades National Park. Other options include a stroll through the Harry P. Leu Gardens, the Exotic Animal Experience or you can check out International Drive. When your family has an urge for science try the Kennedy Space Center or the Orlando Science Center. You have unlimited Orlando activities for evening entertainment that includes a concert at the House of Blues or a fantastic mystery theater dinner show. When you want to see one of the more iconic strips in America, then a must thing to do in Orlando is to plan a trip to International Drive better known as I-Drive. Located in the Big Sand Lake area, I-Drive is a combination of exciting attractions, hotels and restaurants that will please the whole family. I-Drive is home to six of the most attended theme parks in the world that include Universal Studios, Islands of Adventure, Volcano Bay, SeaWorld, Discovery Cove and Aquatica. 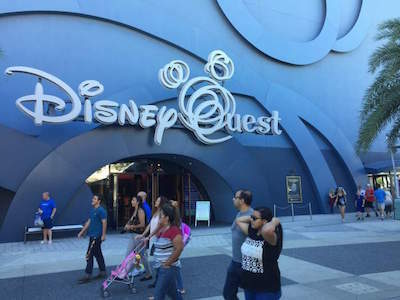 In addition to these fabulous theme parks you will find shopping venues such as Prime Outlets International or stroll through Antique Row for that perfect souvenir. Part of I-Drive includes a stunning walking district and most of the road is lined with endless palm trees. Don’t worry when you get hungry because there are hundreds of restaurants from fast food to casual to fine dining where you can indulge in great cuisine. 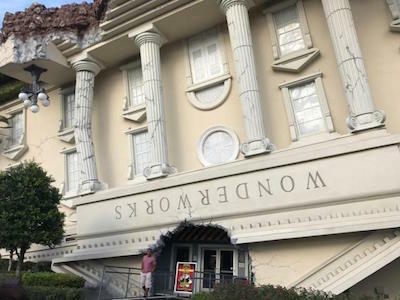 Whether you are looking for a theme park, an added attraction like Ripley’s Believe It or Not to complete your day or a dinner show to end your day, you will find plenty of fun activities along I-Drive. When you want to spend the day in a Walt Disney atmosphere that does not include theme rides, then the best thing to do in Orlando is to visit Disney Springs. Located along Buena Vista Drive near Kissimmee, Disney Springs is the newly renovated Downtown Disney area with numerous restaurants and entertainment venues. Disney Springs highlights the best of Walt Disney has created with several themed neighborhoods that recreate much of the happiness and magic that you associate with Walt Disney. Your children will be thrilled to walk down the street and shake hands with Mickey Mouse, Pluto or one of the Seven Dwarfs. You will be pleased that parking and admission is free. The family can enjoy such remarkable shows as Cirque du Soleil and other pay-as-you-go attractions like a carousel, movie theaters, a bowling alley and several arcades as well as concert venues. When you get hungry there is plenty of dining options to satisfy everyone in the family and your budget. Whether you are walking through the Marketplace, the Landing or the West Side your senses will enjoy the wonderful Walt Disney themed architecture that lines the streets and the playful attitude of the Disney characters. When you want to see all of what the Orlando area has to offer, then the perfect thing to do in Orlando is to take the Orlando City Sightseeing Tour. Your 7-hour excursion begins with complimentary pick-up service from select hotels where you meet your tour guide who will make you day more enjoyable with interesting facts about the city. Your first stop will at Lake Eola Park in the center of downtown with its iconic fountain. You will enjoy views of the city skyline while strolling a bit in this park like setting. From here you will travel 15-minutes to the historic town of Winter Park which has an idyllic setting of canals and cobble stone streets. 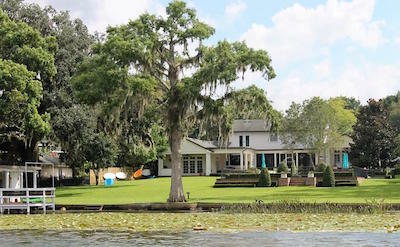 Once in Winter Park you will take a one hour cruise along the waterways in a fully narrated tour that explains the area while you see the beautiful architecture of numerous homes. Now you will travel back on land to Park Avenue where you will have sufficient time to browse the many boutique shops, dining options and cultural atmosphere of Winter Park. Your next stop will be through the theme park district and the City of Celebration which Walt Disney World helped create the perfect community. Your excursion concludes with drop-off service at one of the select Orlando hotels. 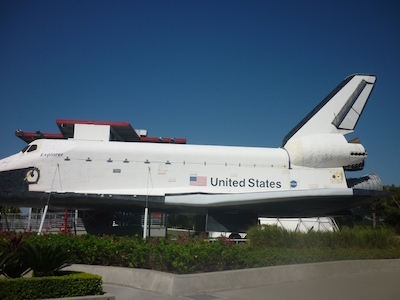 One of the more exciting things to do in Orlando is to plan a Kennedy Space Center Day trip. The Kennedy Space Center is a fabulous place for families and you don’t need to be a fanatic about space travels to enjoy yourself. The technology that you will see is fascinating and you will understand better how we have accomplished sending people up to the stars. There are a wide variety of exhibits from an Apollo Saturn 1B rocket to a full-size Titan rocket to museums that highlight the great achievements of famous astronauts and you will be able talk to astronauts in person. You will enjoy the IMAX Theater, a guided shuttle tour that take you to view the launch pads and when you are ready for an unbelievable adrenaline rush you should try the Shuttle Launch Simulator which creates an actual lift-off experience. 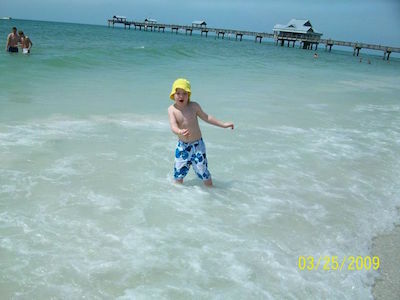 When you are tired of the adrenaline rushes from the theme parks, then one of the most relaxing things to do in Orlando is to visit Clearwater Beach. This part of Florida along the Gulf of Mexico boasts beautiful white sand beaches with plenty of watersport and land based activities. You can enjoy Sand Key Beach where swimming conditions are ideal or you can lounge under the sun while watching playful dolphins swim offshore. There are options such as taking the Jolley Trolley which will allow you to hop on/hop off where you choose or maybe you want to rent a bike or go kayaking. Clearwater Beach is a perfect place to relax at one of the fine eateries around Pier 60 and watch street performers juggle or play with fire. Other adventurous activities include spending the day on a boat, a pirate cruise or visiting the Clearwater Marine Aquarium. When you think of Florida you think of white sand beaches, theme parks and the Everglades which makes one of the popular things to do in Orlando is to plan a day trip to Everglades National Park. This expansive area of 1.5 million acres has amazing scenery and is packed with wildlife with several tour options which make this an excellent day trip. Once at Everglades National Park you have a wide variety of ways to explore the park from an airboat ride with a naturalist to kayaking in the 10,000 Islands National Wildlife Refuge to watching an alligator wrestling match. 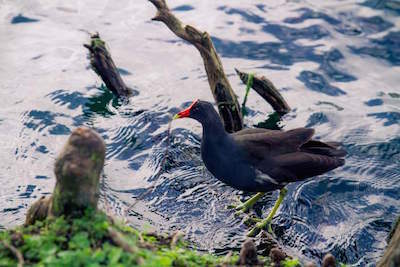 Other spectacular things you can do are take a nighttime tour of Everglades National Park where you will be thrilled at the nocturnal nightlife that appears in the swamps and no trip is complete without seeing the interactive exhibits in the visitor’s centers that explain everything about this unique eco-system. 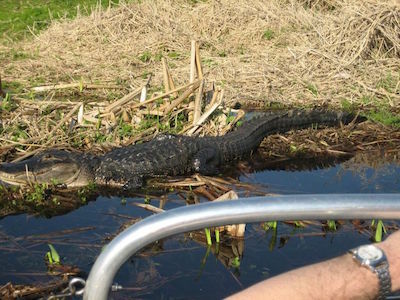 One of the more popular things to do in Orlando is to glide over River of Grass during a thrilling airboat ride. You will be amazed at the technology of these airboats as you reach high speeds while viewing incredible wildlife and scenery in places such as the Florida Everglades and Wild Florida. These excursions are ideal for families who like to view wildlife in their natural habitat as well as take an exciting ride on an airboat. Another added bonus to airboat tours is that you can add-on several different options from visiting the Kennedy Space Center to a day trip to Miami to swimming with manatee in the Crystal River. Other options include a night ride, a hike with a naturalist and you can go shopping after a beautiful day in the outdoors viewing alligators as well as the interesting scenery of the River of Grass. 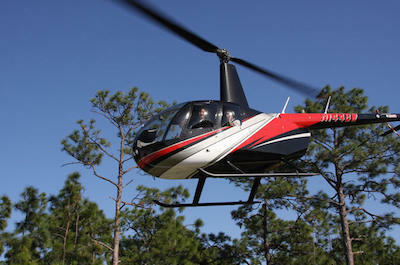 If you like the thrill of adrenaline and want to see the incredible built environment of the theme parks and downtown Orlando, then an ideal thing to do in Orlando is to take a helicopter tour. You will enjoy the rush as you lift from places such as Walt Disney World, International Drive and Kissimmee. As you soar through the skies you can view the interesting sites below like Epcot, Universal Studios and the beautiful scenery of Lake Toho. Other flights will take you over the downtown area Orlando where you will have a bird’s eye view of the gorgeous architecture and the city’s parks. Flights range from 8 to 30-minutes in time length and are sure to filled with excitement as you lift-off and land. 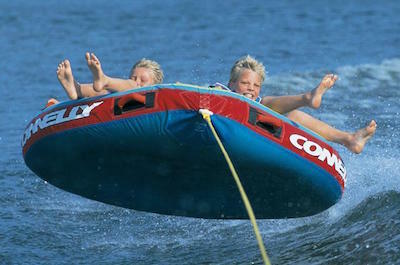 These tours are very flexible and affordable making them a great add-on to an adventurous day. When you are ready to view the incredible natural scenery that includes superb wildlife in their natural habitat, then the best thing to do in Orlando is to plan a nature and wildlife tour. These excursions are perfect for families. 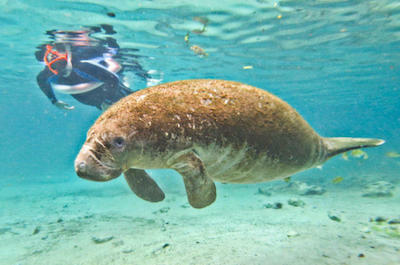 You will have the opportunity to view interesting wildlife such as swimming with manatees on the Crystal River, riding on an exciting airboat through the Florida Everglades or you might choose an adrenaline filled zipline ride. Other fabulous selections include visiting Wild Florida where you can spend the day with one of the trained animal keepers or visit Gatorland where you are sure to see these prehistoric looking creatures and there are unique night tours where the wildlife will appear out of nowhere. Whether you want to travel by car, airboat or an amphibious vehicle you will be pleased with these activities which are packed with nature and wildlife. If you have ever wanted to fly through air with ease while viewing incredible scenery both natural and manmade, then the best thing to do in Orlando is to go on an Orlando Sunrise Hot Air Balloon Ride. Your journey 3-hour journey begins one hour before sunrise with complimentary pick-up service from your Orlando hotel when you will be driven to the hot air balloon launch site. You will meet your expert pilot and watch as the ground crew prepares the hot air balloon for flight. After brief safety instructions you will board the gondola and rise into the beautiful morning sky. As you pass over wonderful sites like Walt Disney World, Epcot, Universal Studios and the Orlando skyline your pilot will explain interesting tidbits of information about the sites below. You will be amazed at the colorful sky as the sun begins to rise while you pass over incredible natural scenery like wetlands, orange groves and numerous lakes. When you are ready to land your pilot will navigate a perfect landing. Once on the ground you will enjoy a glass of champagne along with selected snacks such as granola bars and fresh fruit while receiving a unique Flight of Ascension Certificate. Your morning adventure concludes with drop-off service back at your Orlando hotel. If you are hungry and still looking for more entertainment after a thrilling day at one of theme parks then an ideal thing to do in Orlando is to plan a night at a dinner show. You will be pleased with the fine selection of shows you can watch that range from a mystery theater to a pirate themed stage complete with a Spanish galleon to a display of the Titanic legendary artifacts. 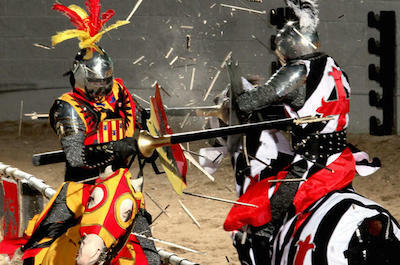 Other fascinating performances include a medieval theme where knights fight for the king’s crown; you can watch wrestlers in the ring and the magic show will thrill the family. All shows include a sit-down dinner that range from 3 to 4-courses with great options for the main course. All shows offer complimentary beverages like coffee, tea soft drinks with some shows including unlimited wine as well as beer. Choose your adventure and enjoy your dinner. 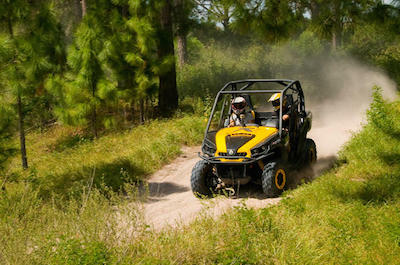 When you want to raise your adrenaline level somewhere other than at a theme park, then the perfect thing to do in Orlando is to take a 4WD and ATV tour. You will be thrilled with riding through such areas as swamps, sand, orange groves and wetlands. These excursions are perfect for all level of drivers and the courses are set to your group’s skill level of riding. 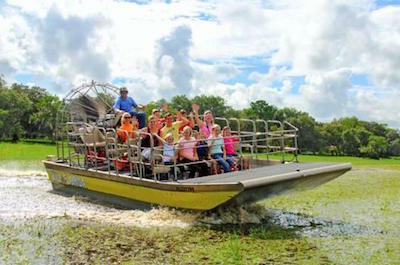 Other fascinating tours include riding in a swamp buggy as you explore the wonderful scenery of the Wild Florida Wildlife Park and you can even choose to drive an eight wheeled amphibious vehicle which allows for extreme fun in as well as out of the water. No matter whether you choose a dune buggy, an ATV, the amphibious vehicle or the swamp buggy you will see incredible scenery and wildlife as you speed along raising your adrenaline to new levels. 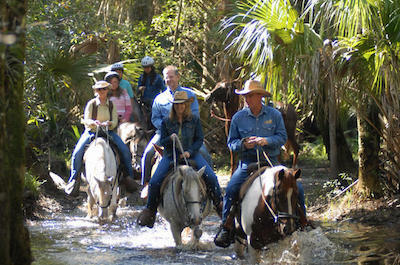 When you want to get out and explore nature in a pristine setting then one of the more family-friendly things to do in Orlando is to go horseback riding at Forever Florida Eco-Reserve. Your 90-minute excursion begins when you arrive at the Forever Florida Eco-Reserve which is a privately owned conservation area of 4,700-acres that features nine different distinct eco-systems native to Florida. After you meet your expert naturalist guide you will mount your horse that will be matched to you based on your riding skills making this perfect for novice or advanced riders. When you start your adventure your expert naturalist will explain the various eco-systems as you pass by them while traveling along the same historic trails that the Native Americans explored in the 1500s. Riding along the Bull Creek waterway you will spot alligators, white-tailed deer, black bears and perhaps the elusive endangered Florida panther as well as some 200 species of birds that call the eco-reserve their home. You will have the opportunity to take a short walk and enjoy the beautiful waters of Bull Creek and the unpolluted air. After learning more about Forever Florida Eco-Reserve your tour will end back at the stables. When you want to see some great live music and chow down of fantastic food, then the perfect thing to do in Orlando is to plan a trip to the House of Blues Orlando. Located at 1490 Lake Buena Vista Drive near the Walt Disney World Resort, the House of Blues Orlando is a superb place for people and families of all ages. 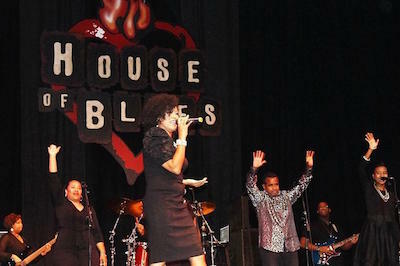 The House of Blues Orlando is a combination of a restaurant and concert hall that attracts big name performers from around the world. When you visit you can indulge in award winning barbeque cuisine, grits as well as specialty shrimp dishes that are a crowd pleaser and children like the kid friendly menu choices for them. There is something for everyone from music videos on the televisions to sporting events when there is not a live performance to adults sitting on a large patio where you can listen to the live music. There is even a special late night menu for people who are night owls or if you want to catch a bite after one of the concerts. 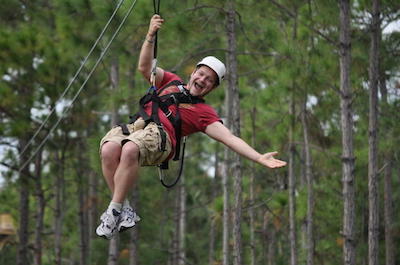 When you are ready for a fantastic adrenaline rush in a beautiful natural setting then the best thing to do in Orlando is to go on a zipline safari tour. Your 4-hour excursion begins when you reach Forever Florida which is a 4,700 acre wildlife conservation area just outside of Orlando. After you are check-in you will take an interesting tour of the preserve that features nine distinctly different eco-systems which is home to white-tailed deer, black beers, alligators, the endangered Florida panther and some 200 species of birds. Your expert naturalist guide will explain the numerous fauna and flora that you will view before you reach the zipline course. Once at the zipline course you will travel at speeds up to 30 miles per hour as you fly 68-feet above ground while viewing this pristine area of natural wonder. The zipline course consists of seven different tension cable ziplines including one that is over two football fields in length as well as travel over three sky bridges. 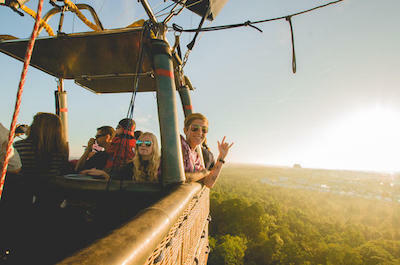 The view as you soar above the ground is superb and you can see for over 10-miles in the distance as your adrenaline gets raised to new level of excitement before your excursion concludes. When you are ready for some exciting shopping time with the whole family then the ideal thing to do in Orlando is to plan a visit to the Orlando International Premium Outlets. 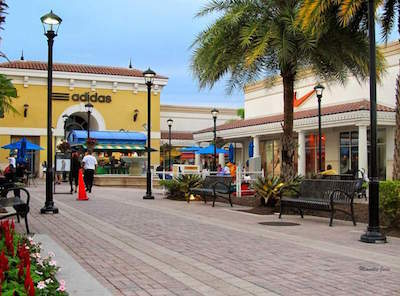 Located along the northern section of International Drive, the Orlando International Premium Outlets is complex of more than 175 retail venues that offer everything from clothing to house wares to athletic shoes to jewelry with tremendous price mark downs. You will be excited to find outlet stores such as Victoria’s Secret, Neiman Marcus Last Call, Nike, Saks Fifth Avenue, Banana Republic, Hugo Boss and Under Armour. Other premium outlet venues include Ann Taylor, Tommy Hilfiger, Bose, Polo Ralph Lauren, Perfumes4U, Michael Kors, Orlando Harley Davidson and Gymboree. You will find jewelry at Swarovski, the Diamond Center, Jared Vault and Kay Jewelers. When you get hungry and need to rest there is a fabulous food court with Five Guys, Edy’s, ChinaMax, Panera Bread, Sbarro and the Sundial Brazilian Cafe. Whether you are looking for clothes, house wares, jewelry or perfume you will surely find the item at the Orlando International Premium Outlets at a discounted price. When you feel the need to get out on the water for some adrenaline or just a relaxing time in nature then the best thing to do in Orlando is to participate in one of the water sports tours. You will be excited with variety that ranges from jet skiing to kayaking to standup paddle boarding to relaxing on a pontoon boat. You will be thrilled with the places you can kayak such as Silver Springs State Park where you can watch monkeys or the Indian River where you can view amazing manatees. Other exciting options include a full moon standup paddleboarding adventure in Winter Park, jet skiing or water skiing at a Disney Resort and you can relax on a pontoon boat at Lake Bryant. You can even head to the skies with a parasail adventure or try the intriguing Flyboard that is sure to leave you amazed. When you are seeking a challenging thing to do in Orlando then a perfect idea for the whole family for fun is to try an escape game. These games are a great way for families and friends to bond in an atmosphere that promotes team work and critical thinking as well as ingenuity. Escape games last one hour and you will need to find your way out of the predicament that you face such as finding an antidote for a disease, finding your way off of a slave ship or even facing off with zombies. Other exciting choices include an Arizona Wild West Shootout, the Cuban Missile Crisis, the Lost Tomb of Monthu and even escape from the bubonic plague. 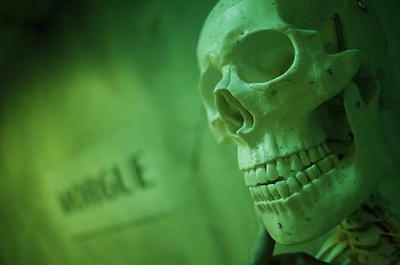 Each escape room is specially designed to suit the appropriate task at hand so that you can find the clues to solve the riddle of escaping before you time is up. When you need to get away from the daily commotion of the Orlando area, then the ideal thing to do in Orlando is to take a trip to Winter Park. Located only 15-minutes from the Orlando area, Winter Park is a former resort town that is packed with everything from a famous liberal college to a historic cemetary. While you are visiting Winter Park you will be pleased with the natural open spaces within the city that features over 70 parks for nature lovers to enjoy. Main Street is a relaxing space with numerous art galleries and museums like the Charles Hosmer Morse Museum of Art which is home to the largest collection of Tiffany glass in the United States. Other outdoor activities are easily accessible with a boat launch as well as a beach and there are several world class golf courses. Whether you are looking for a relaxing day while strolling through a cultural mecca or spending some quiet time in park or at the beach, Winter Park is a perfect attraction to spend the day. If you and your family like the great outdoors as well as trying to catch trophy fish, then the best thing to do in Orlando is to take a fishing tour. You have a variety of options which range from lake fishing to deep sea fishing in the Gulf of Mexico. 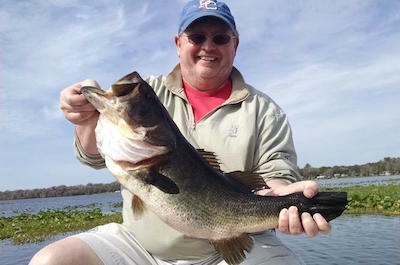 Lake fishing allows you to enjoy superb scenery at Lake Toho or the Butler Chain of Lakes. You will be thrilled with the incredible bass that you will catch. The deep sea fishing option will take you on a 10-mile cruise from the shoreline while you catch a glimpse of the Clearwater Beach area. While in the Gulf of Mexico you will catch fish such as groupers, sea bass and gray snapper. These excursions last from 4-hours to all day as well as family-friendly and include all the necessary equipment for a successful day of fishing. 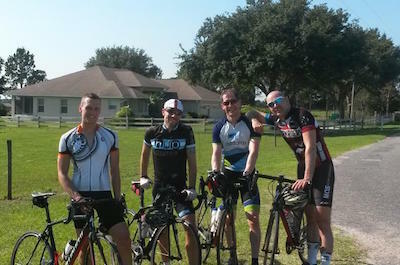 When you are ready to go on an outdoors adventure then the ideal thing to do in Orlando is to take a biking tour. These excursions are a great way to get some exercise and experience fabulous scenery while you ride on state-of-art-equipment. You can single track ride in interesting places such as the Little Big Econ Forest and Econlockhatchee River or take a leisurely ride through Winter Garden as well as through historic Winter Park. Tours last from 2-hours to all-day and are perfect for all types of skilled bicyclists from novices to expert single track riders. During your 7 to 40-mile ride you will experience incredible tropical forest scenery as well as wildlife such as bobcats, deer, otters, foxes and raccoons. Bird watchers will be please while riding and viewing species of birds such as like hawks, osprey and herons in their natural habitat. If you like added value when you visit an attraction then one of the more popular things to do in Orlando is to take a trip to the wonderful Lake Eola Park. Located at 512 East Washington Street in downtown Orlando, Lake Eola Park is situated around the 23-acre Lake Eola which was created by a sinkhole. Lake Eola Park is a superb place to see and the fountain within the center of lake is known the official icon of Orlando. There is a splendid .9-mile sidewalk that circles the lake and is popular with joggers as well as paddleboats shaped like swans for rent. Lake Eola Park hosts a variety of events throughout the year including a farmer market on Sunday’s. The Walt Disney Amphitheater within the park also hosts a variety of free concerts and performances where you can watch exciting entertainment like Snow White by the Russian Ballet of Orlando or there are movie nights at the park. If you are hungry while visiting you can stop by the Relax Grill on Lake Eola or enjoy a picnic on the manicured grassy lawn. If you are interested in viewing a beautiful collection of plants from around the world then the best thing to do in Orlando is to plan a trip to the Harry P. Leu Gardens. 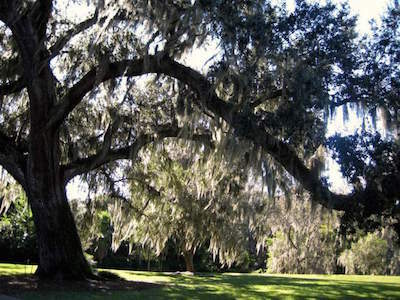 Located at 1920 North Forest Avenue just 2-miles from downtown Orlando, the Harry P. Leu Gardens are situated within 50-acres of a stunning manicured landscape. The Harry P. Leu Gardens contains over 40 diverse plant collections that are specifically cultivated to bring the natural beauty of each collection to visitors. Some of the collections are the Tropical Stream Garden, there are 150 different vines within the Vine Collection, the Rose Collection contains 650 roses from 215 varieties, the Palm Collection has 400 species, the Natural Wetland Garden is ideal for viewing birds and the Cycad Collection features over 50 species. While other collections you can see are Ginger, Conifer, Crape Myrtle, Fern, Flowering Tree, Fruit Tree, Butterfly as well as the Camellia contains 2,000 plants and the largest in the United States. While you are at the Harry P. Leu Gardens you can visit the Leu House Museum which was constructed in 1880 and is listed on the National Register of Historic Places. When you want to immerse yourself and family in a wonderful science adventure then one of the more unique things to do in Orlando is to take a trip to the Orlando Science Center. Located at 777 East Princeton Street less than 2-miles from downtown Orlando, the Orlando Science Center is situated within a 207,000 square feet facility that features four floors of superb interactive exhibits. Within the exhibit halls you will find fascinating places like the Kinetic Zone, NatureWorks, DinoDigs, Our Planet and the new KidsTown where you children will be pleased with the many interactive exhibits that will open their minds to new technology and life relating experiences. Another exciting feature is Space Base which combines a giant sphere with 4D virtual reality sensors to provide for a thrilling experience. When you are ready to look at the stars you can visit the rooftop Crosby Observatory where you will find powerful telescopes to help broaden your space knowledge. 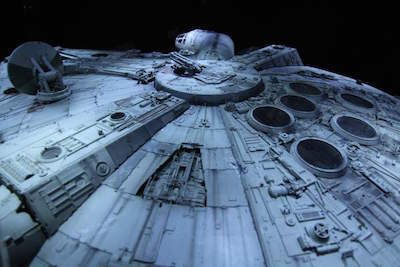 Also within the Orlando Science Center you will find an 8,000 square feet IMAX screen or viewing movies and the Digital Adventure Theater projects 3D movies. Science Night Live features fun trivia contests as well as several guest lecturers on a regular basis. When you want your family to experience one of the more interesting things to do in Orlando then you need to visit the Exotic Animal Experience. Located in Wedgefield southeast of downtown Orlando, the Exotic Animal Experience is situated within a private ranch and features an interactive time with over 25 exotic animals. You will be thrilled with this interactive petting zoo where the animals have been raised from birth to adulthood at the ranch. When you visit the Exotic Animal Experience you will have a chance to spend time with animals such as lemurs, zebras, kangaroos, micro pigs, miniature horses and even galagos. You can play with the famous Animal Planet trio of Poppi, Love Bug and Mojo as the animals wander the grounds of the ranch without restrictions. The Exotic Animal Experience is a great activity for you and your family if you want to learn more about exotic pets. If you are looking for another stop on your way then try Fort Christmas Historical Park or the Hal Scott Preserve. If you like the thrills of kart racing then the best activity in Orlando is to spend some time at K1 Speed Orlando. Located at 9550 Parksouth Court, K1 Speed Orlando is only 3-miles from the Orange County Convention Center and 3.5-miles from SeaWorld Orlando. K1 Speed Orlando is the perfect place to hone your driving skills while experiencing breathtaking speeds of up to 45 miles per hour. This indoor kart facility features two separate tracks that allow for great adventures from behind the wheel in one of the state-of-the-art electric karts which emit no population. K1 Speed Orlando is a perfect thing to do in Orlando for novice and expert drivers who will be challenged by hairpin turns, a speed producing straight-away and the thrill of competition. K1 Speed Orlando has a superb lobby that is packed with racing memorabilia as well as a nightclub atmosphere with flashing lights. When you are finished racing you can play the newest video games in the arcade and the Pit Cafe is the perfect place for refreshments.